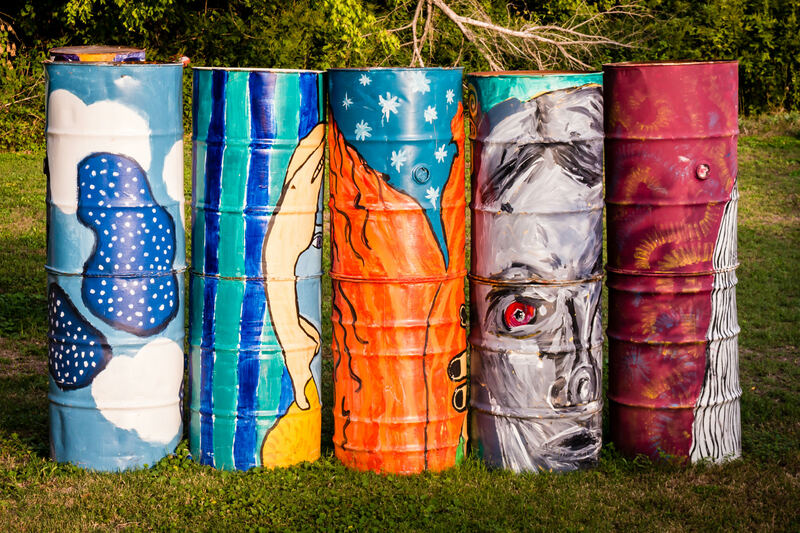 55-gallon drums welded together and painted to make artwork in a Waxahachie, Texas, park. 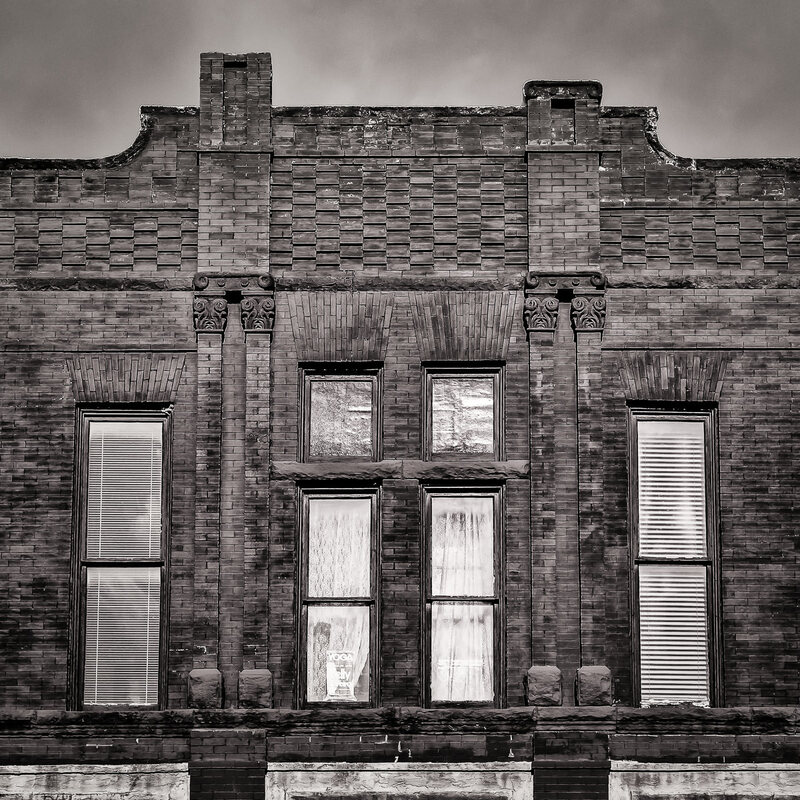 The facade of an old brick building in Downtown Waxahachie, Texas. 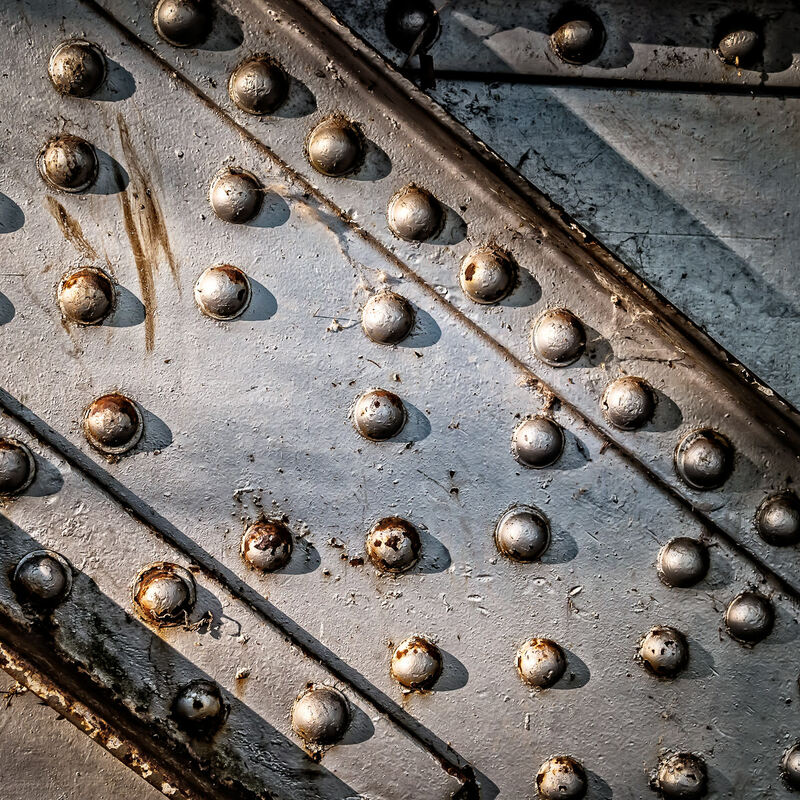 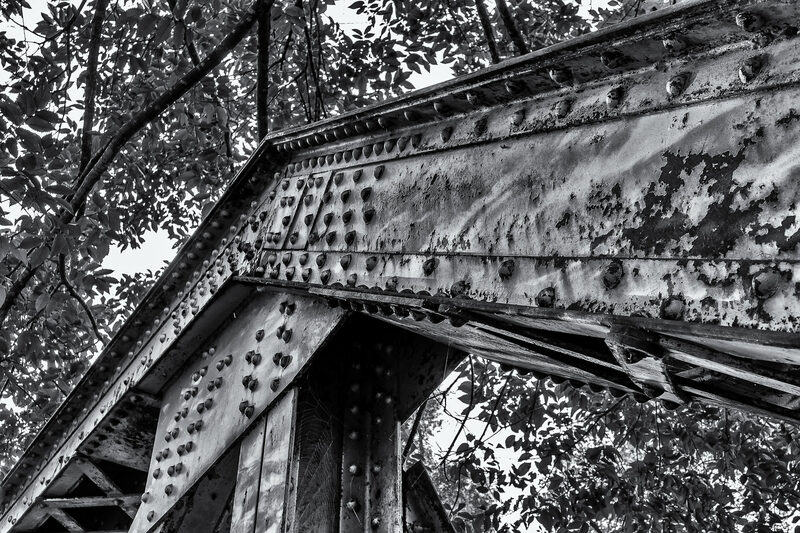 Detail of an abandoned iron railroad bridge in Waxahachie, Texas. 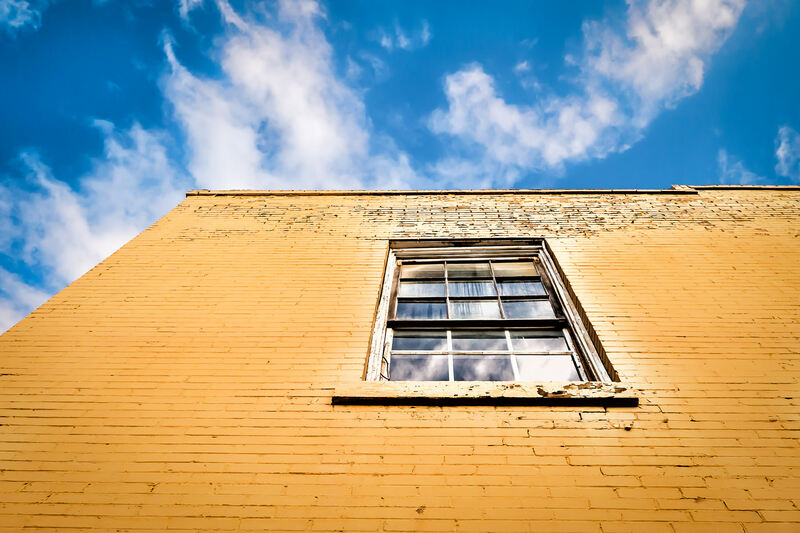 A window on a yellow-bricked building rises into the Texas sky in Downtown Waxahachie. 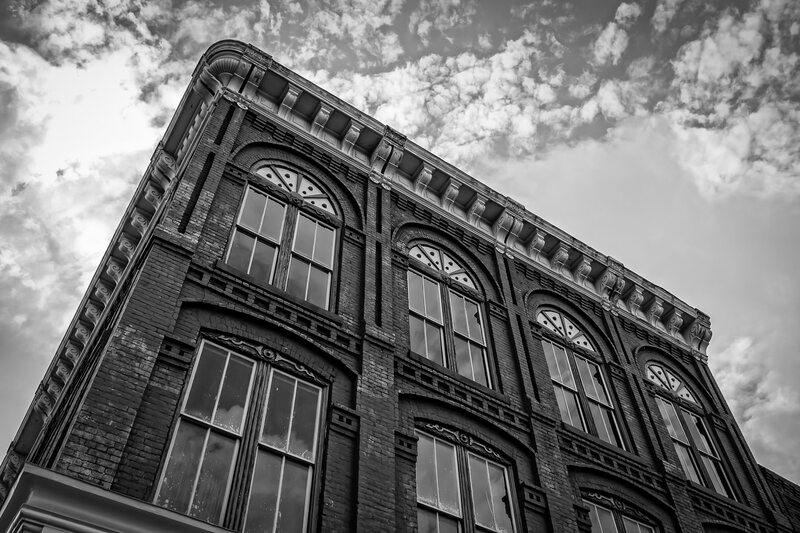 An old brick building rises into the cloudy Texas sky over the small North Texas town of Waxahachie. 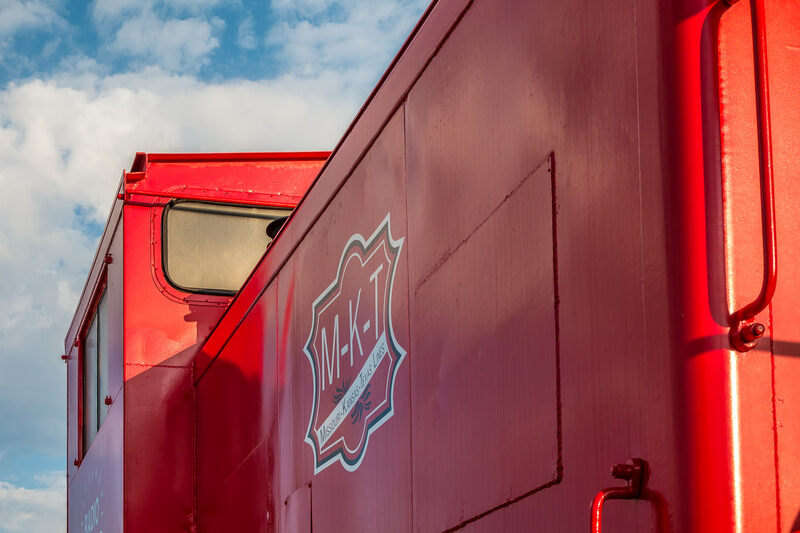 A restored caboose of the Missouri-Kansas-Texas Railroad (colloquially known as “The Katy“) on display in Waxahachie, Texas. 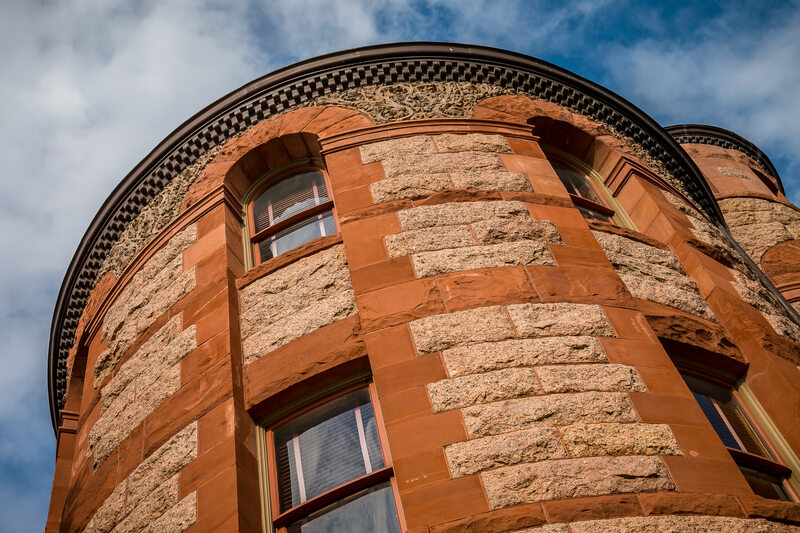 Exterior architectural detail of the Ellis County Courthouse, Waxahachie, Texas. 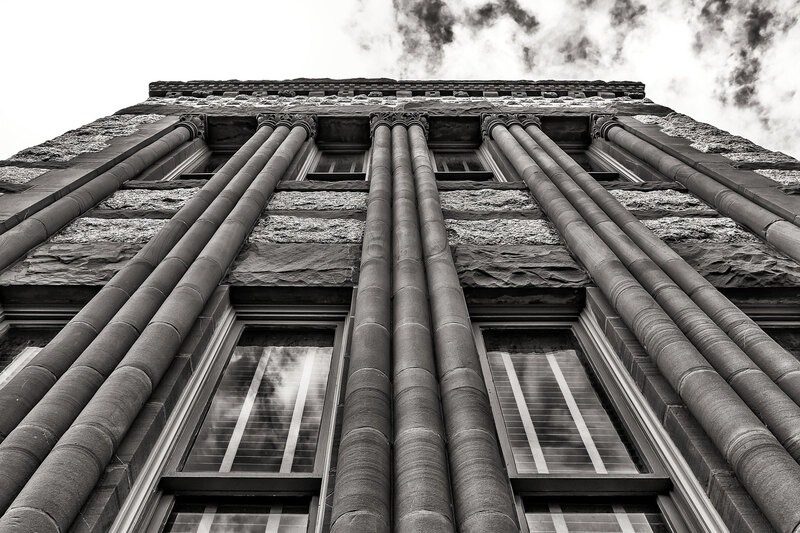 The facade of the Ellis County Courthouse rises into the sky over Waxahachie, Texas. 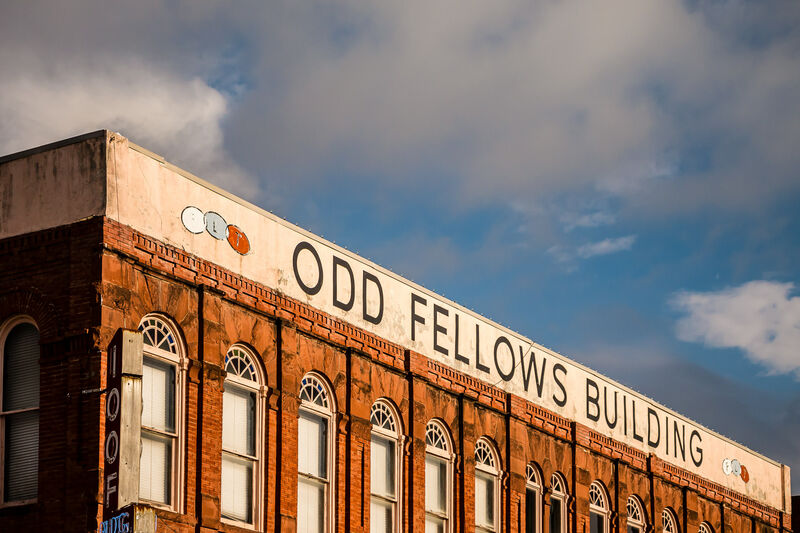 Exterior detail of the Independent Order of Odd Fellows (IOOF) lodge in Downtown Waxahachie, Texas.